Citizens of Donetsk have recorded multiple videos of white glowing particles raining on residential quarters. 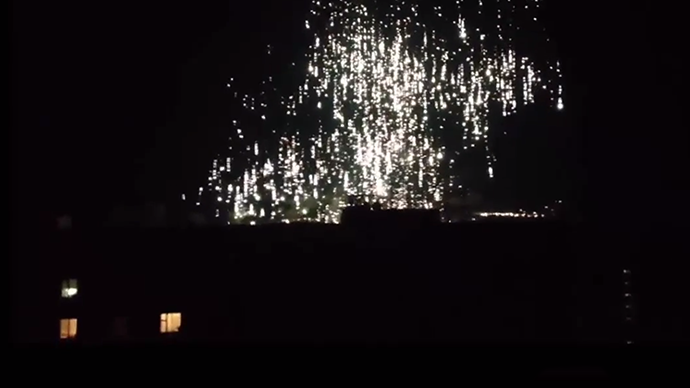 The locals allege that Ukraine's military has shelled their city with internationally prohibited phosphorus incendiaries. On Thursday night, people in the Lenin district of the city of Donetsk saw a flow of white fire pouring down from the dark sky alongside the now-familiar sound of bombing, RIA Novosti reported. They suspect these have been incendiary shells stuffed with white phosphorous, similar to those reportedly used by the military during the blockade of another eastern city of Slavyansk in June. 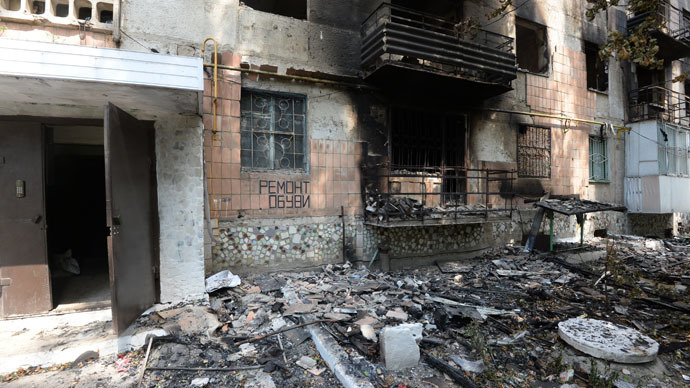 So far there have been no official reports from the scene about the results of the night shelling of Donetsk, which could confirm whether white phosphorous munitions have really been used against densely-populated areas. Interfax news agency reported that unusual munitions that resembled “fireworks or white rain” after exploding have been seen on a front of the battlefield up to 5 kilometers wide. 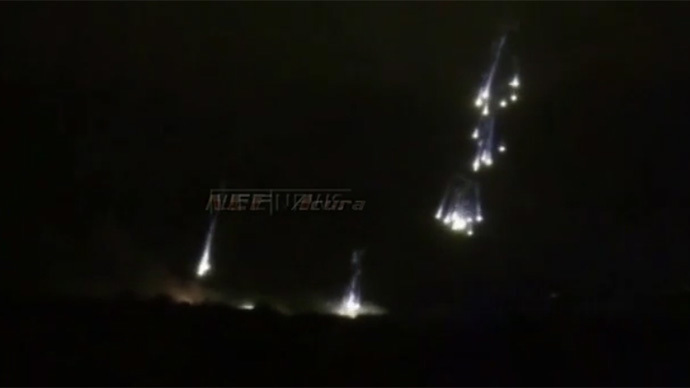 “In particular, a large number of brightly burning particles falling rapidly to the ground, without the assistance of for example parachutes to slow their descent, suggests this wasn't a more commonly used illumination ammunition, such as flares," Shoebridge said, stressing though that “one would associate large volumes of smoke with white phosphorus use,” which are not visible, probably because the video was recorded at night. The Ukrainian Army claims they are in the final stages of freeing the city of Donetsk from the local militia. Pro-Kiev forces are using heavy artillery, such as rocket launchers, against a city with a population close to 1 million (approximately 950,000 citizens). Further scenes of devastation are emerging from across the city, with many buildings burned out or riddled with shell-holes. 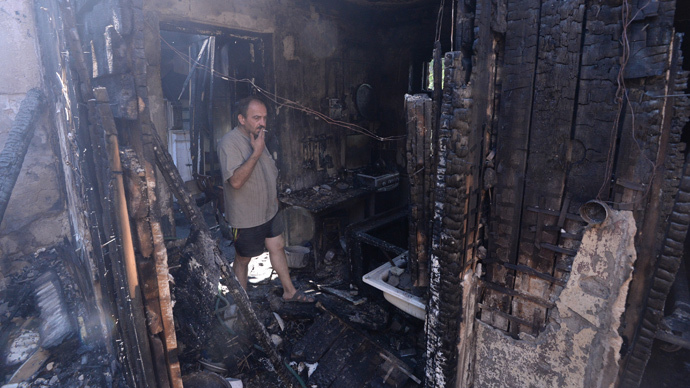 A large number of private homes in Donetsk have been burned down as firefighters fail to extinguish fires caused by shelling. At least 74 people, including children, have been killed in the city in the last three days. Donetsk has come under constant fire from the Ukrainian Army since May and has already suffered at least 128 attacks. According to the statistics of the Donetsk People’s Republic, at least 839 people have died in these attacks over the last three months. Another regional center, the city of Lugansk, remains a hot spot on the war map, being under siege for practically two weeks now. City hospitals are running out of supplies, whereas the gas stations have already run out of fuel altogether. 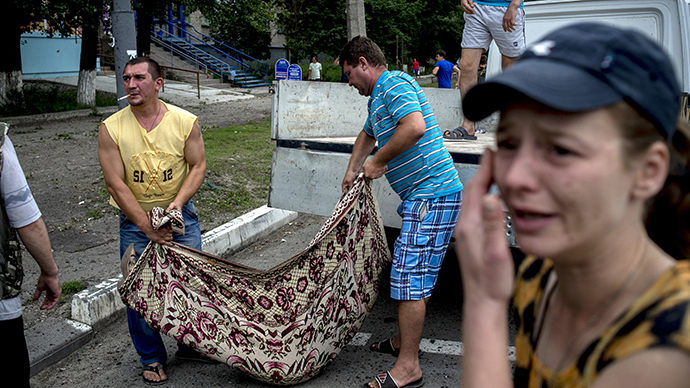 The population of the city, facing a looming humanitarian crisis, has almost halved, RIA Novosti reports. 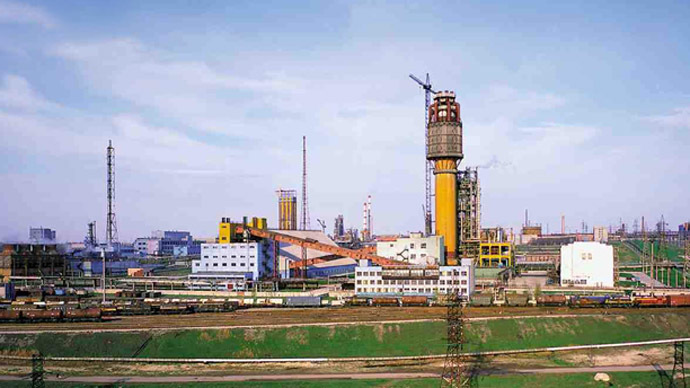 The food supply is unstable, which has already led to price hikes and public transport is dwindling, while garbage disposal has been suspended. 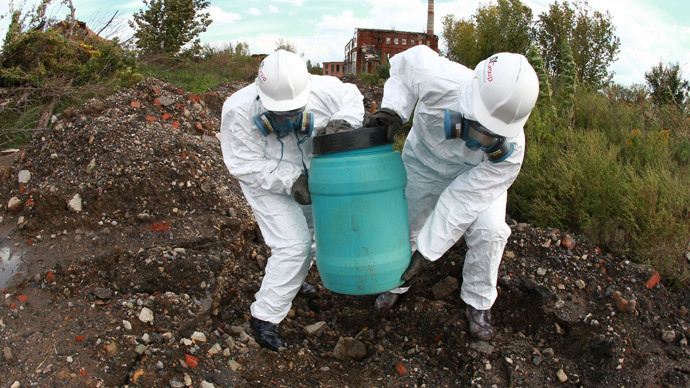 Potable water treatment facilities have no more chemical agents for the disinfection of water. The Ukrainian Army and National Guard have continued shelling communities and residential areas around the regional center of Donetsk. One of them, the small town of Ilovaisk, some 35 kilometers from Donetsk, has been shelled day and night for the last nine days. 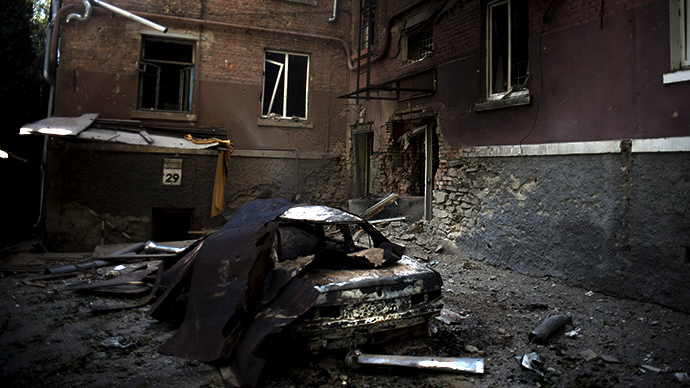 After Ukrainian troops failed to capture the town, pro-Kiev forces besieged it and began shelling residential areas. Though the self-defense forces have announced recently that they managed to break the enemy chain around the town, the heavy shelling continues. Rockets from Grad multiple missile launchers fired by the Ukrainian Army have destroyed a local railway wagon factory, a Maintenance and Repair Department, a children's camp and a boiler house. 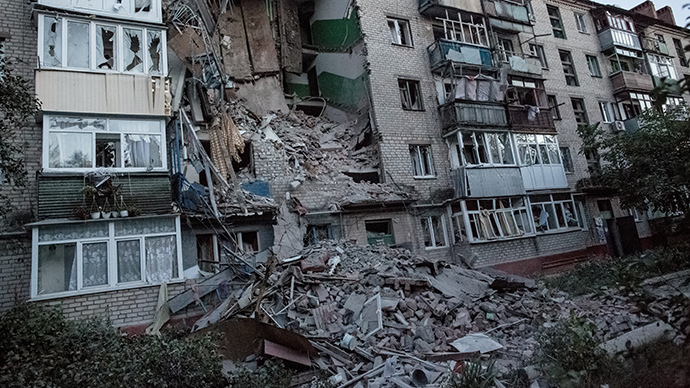 In addition, they have damaged a large number of private dwellings, RIA Novosti reports. The Ukrainian National Guard is deliberately shelling gas stations to cut supplies of natural gas to the town, Russian news agencies reported. Several thousand citizens who could not evacuate from the town because of a lack of transport due to constant shelling are hiding in the cellars 24 hours a day. The victims of the shelling are being buried in parks and dooryards because the ongoing battle prevents citizens from burying their relatives in cemeteries. Both electricity and water supply in Ilovaisk have been restricted, so even firefighting teams do not respond to emergency calls. The locals say they cannot establish the real number of dead and wounded because of the absence of any authorities in the town. In Grabovo village a device, most probably a Tochka-U ballistic missile, has left a crater eight meters deep. 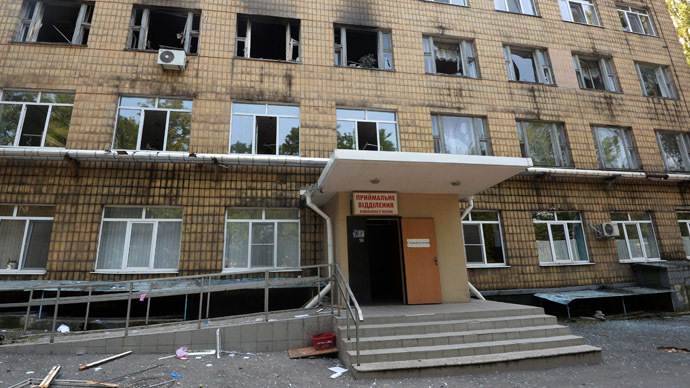 In Gorlovka, shells destroyed a recreation center, a shopping center and a marketplace. 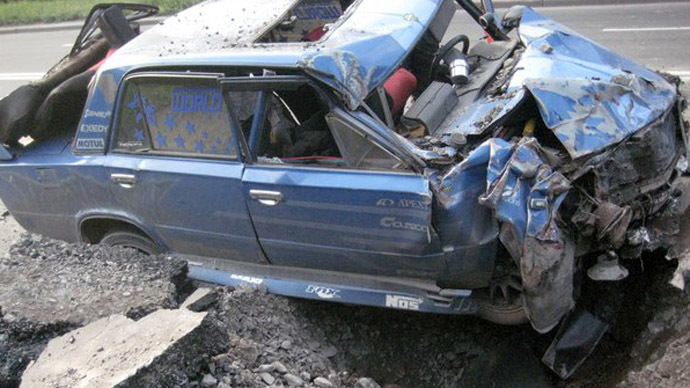 In one place, the small town of Zugres, local authorities say 15 people, including three children, died. Ukrainian troops are trying to cut the connections between militia forces in Donetsk and Lugansk, but so far their efforts have been in vain. In the meantime, the Lugansk self-defense militia has launched a counteroffensive against the Ukrainian Army, blocking a unit of servicemen near Miusinsk and inflicting a defeat on Kiev’s troops near the town of Krasny Luch.